From left to right: Saluda River Club’s Brantley Jones, Sales; Lisa Smith, Marketing Director; Brad Harper, Project Manager. 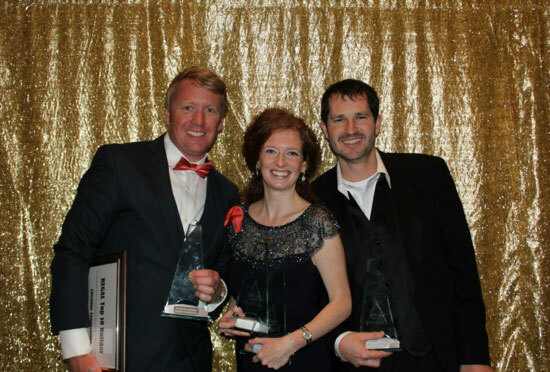 In addition to winning the five REGAL Awards, two of Saluda River Club’s sales managers, Brantley Jones and Ted Johnson (Team Jones/Johnson) were recognized for realizing an overall sales volume for Saluda River Club of more than $21M in 2014. Andrew (“Andy”) D. White, developer of Saluda River Club and partner with Bill Theus and Walter Taylor of Lifestone Communities, developer-builders of a variety of residential communities throughout South Carolina, notes: “During these past twelve months, 65 new homes and lots sold in our community, and 2015 is off to a roaring start. 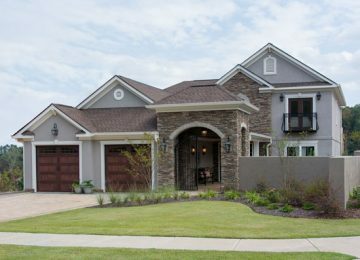 Saluda River Club offers elegant, spacious homes in a beautiful natural setting on the banks of the Saluda River. It’s location, in one of the best school districts in the state, Lexington School District One and close to Columbia’s major medical facilities and the University of South Carolina is superb, and Its luxurious amenities, including the Chickawa Outdoor Center, the Village Clubhouse, clubs and activities, river access, trails and parks, make this Community of the Year a highly-desirable community for young professional couples, growing families and empty nesters alike. To learn more about living and building at Saluda River Club and to schedule a private tour of our Columbia Community of the Year – Master Planned Community, please call 803-358-3969 or visit www.saludariverclub.com.